After a brief layover in “Star City 2040,” next week’s episode of Arrow is coming back to the present. 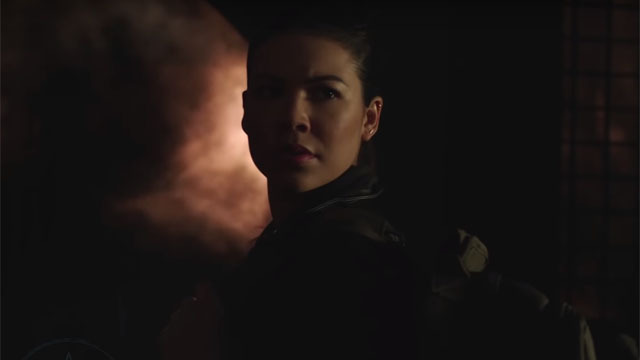 Throughout the entire seventh season, Oliver Queen’s previously unknown half-sister, Emiko Queen, has been the new Green Arrow. Emiko told Oliver that she was on a mission to avenge the murder of her mother. However, there’s more to Emiko’s story than she initially let on. Somehow, Emiko has ties to the international terrorist, Dante. She may have even murdered Ricardo Diaz on Dante’s behalf. When Laurel confronted Emiko about that, she didn’t exactly deny it. In the new promo for Arrow episode 7.17, Oliver and the rest of Team Arrow are forced to question what they know about Emiko. She may be family, but she’s not exactly their friend. Worst case scenario, Emiko is helping Dante destroy everything that Oliver has worked for in Star City. Laurel may hold the key to unraveling that mystery. However, only Felicity likes or even trusts the alternate world Laurel. And Oliver is more likely to believe in his sister than his occasional ally. Arrow episode 7.17 “Inheritance” will air on Monday, March 25, on The CW. What do you think about the new promo? Let us know in the comment section below!